This MSP H.B. 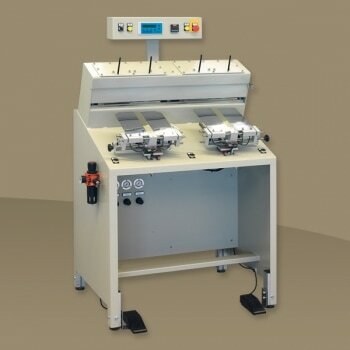 machine guarantees perfect pressing of all types of cuffs using an easy to install mold and counter-mold system. The cuff is pressed (mold and counter-mold) first on one side and then on the other; this guarantees accurate pressing on both sides of the cuff. The machine is supplied with a PLC software to regulate the pressing times. The lower plate temperature can be regulated by a thermostatic system.